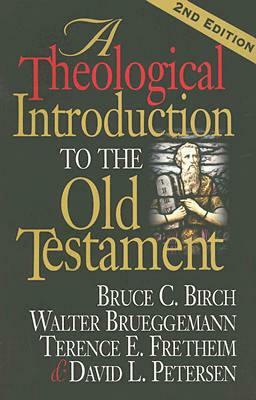 I’m reading the second edition of A Theological Introduction to the Old Testament by Bruce C. Birch, Walter Brueggemann, Terence E. Fretheim, and David L. Petersen (Nashville: Abingdon, 2004) as I read through the Old Testament this year. This powerhouse team delivers some very engaging theological points. Here are some I thought I needed to share. The verb subdue, while capable of more negative senses, here has reference to the earth and its cultivation without parallel in the Hebrew Bible and, more generally, to the becoming of a world that is dynamic, not a static reality …. This responsibility assigned to the human has not simply to do with maintenance and preservation, but with intracreational development–bringing the world along toward its fullest possible potential. God intends from the beginning that things not stay just as they were initially created. God creates not a static state of affairs but a highly dynamic world in which the future lies open to various possibilities, and human beings are given a key role to play in developing them” (44). To me, this says mainly three things: we are here in physical bodies in a physical world for a reason other than the fact than it’ll just do for the time being; there is much, much more involved in salvation than waiting for the world to come to some sort of end but involves getting on with the things we were actually created for; and this makes no sense apart from the free-will that God affords humans. We make choices that actually matter. “In worship, ‘human beings are called to become participants in the continual renewal and maintenance of the created order.’ What happens in liturgy is for the sake of the world; it is a world-making activity. Worship is a God-given way for the people of God to participate in the re-creation of a new world … The activity of worship may be local, but its concerns and effects are cosmic” (155).